Getting involved in one of the Geneva Chamber of Commerce committees is good for your business, for other businesses in Geneva and for the vitality of Geneva in general. Volunteer for the committee that suits your talents and time commitments. It is a networking opportunity where everyone benefits! Contact the Chamber at 630.232.6060 for more information or to join a committee. Join Today! reps who design your ad and bill you directly. Welcomes new members and ensures they are aware of the many benefits and resources available. Works with The Ambassadors Club in setting their agenda and coordinating activities. Creates an annual program to celebrate the Chamber and recognize members. 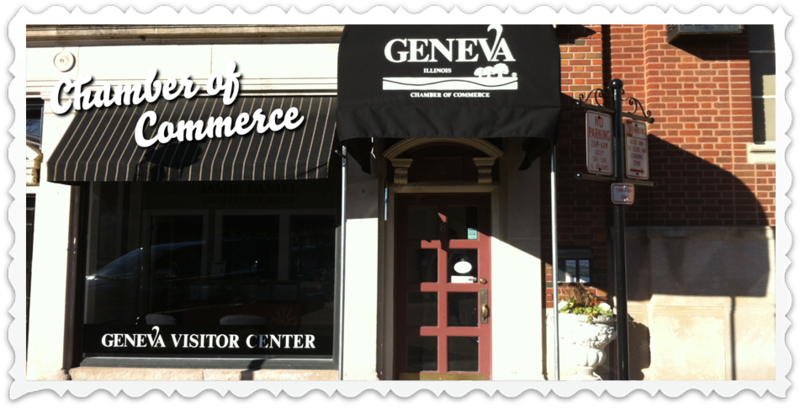 Chamber members who have shown consistent commitment to the Geneva Chamber of Commerce and the vitality of the Geneva business community, are invited to serve as good will ambassadors of the Chamber. They represent the Chamber at Ribbon Cuttings and Grand Openings and help retain and recruit members. Meets monthly to plan the annual Golf Outing which is held in June. This committee is responsible for selecting the location and menu, soliciting sponsors and prizes and helping out during the event as needed. A representative from each business category gets together twice a month to network and exchange business leads. It is an excellent vehicle for the promotion and marketing of committee members’ individual businesses. The group meets at 8 am on the first and third Wednesday of each month at the Geneva Visitor Center at 10 S. Third Street. Contact the Chamber at 630.232.6060 for more information or to join this group. By pooling resources and advertising cooperatively, Marketing Ad-vantage members get more advertising exposure than they could individually. All Chamber members are invited to participate in the Co-op. Businesses invest $260 annually (billed quarterly). The Marketing Ad-vantage Committee develops the plan and administers the funds. The committee negotiates group rates and discounts for members of the Marketing Ad-vantage Co-Op. For more information or to join this committee, call the Chamber at 630.232.6060. Many volunteers are needed for our four festivals. Contact the Chamber at 630.232.6060 for volunteer opportunities. Meets regularly to plan the events. This committee is responsible for selecting activities, locations and menus, soliciting sponsors and prizes and helping out during the events as needed.